Research by my organization and others has shown that leadership and supervision are key influences on (drivers of) the level of employee engagement in public-sector organizations. In government, we depend on our managers and supervisors to build and maintain high-engagement organizations. And research has also shown that employee engagement is linked to outcomes that matter in government. Outcomes that include achieving strategic goals, delivering responsive customer service, improving productivity, boosting attendance and reducing turnover. Good question, because if we expect managers and supervisors to build high-engagement organizations, we need to be clear on what that means, and what they need to do to succeed. One government agency committed to measuring and improving engagement responded to this need by developing a set of managerial/supervisory competencies around employee engagement and inclusion. This agency believes that engagement and inclusion are two sides of the same coin, and therefore integrated the two concepts into a single initiative. This agency realized a key to improving engagement was to focus on leaders – particularly managers and front-line supervisors. The organization also realized that if leaders were going to create and sustain high-engagement teams, they needed to understand what they needed to do to achieve this goal. 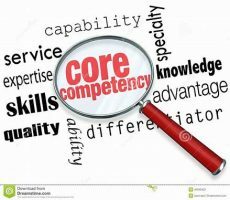 After much discussion, the agency created a set of managerial and supervisory competencies geared to engagement and inclusion. The competencies, listed below, start at a high level (“provides strong and effective leadership”) but then drill down to more specifics. Agency managers and supervisors responded positively (most of them did anyway) but asked for more. The wanted to know what, exactly, did they have to do to demonstrate their mastery of these competencies? recruiting and hiring for diversity. The chief executive – the sponsor of the engagement and inclusion initiative – then explained to the agency’s managers and supervisors that the training wasn’t mandatory. However, he was going to hold them accountable for the competencies and behaviors through the performance management system. So, what happened – did anyone attend the training? Of course they did. Just about every manager and supervisor in the agency completed the three-session training curriculum. And despite some initial grumbling and misgivings, the evaluations of the programs were uniformly positive. This organization has now conducted three engagement and inclusion surveys over six years. In both follow-up surveys, response rates and levels of engagement and inclusion all improved. Can this uptick be attributed solely to the creation and implementation of the competencies and associated behaviors? No, but I believe this strategy was a major contributing factor. The bottom line? If we want our managers and supervisors to act in ways that are important to our organization, we need to specify and define these behaviors and then hold our leaders accountable for them.